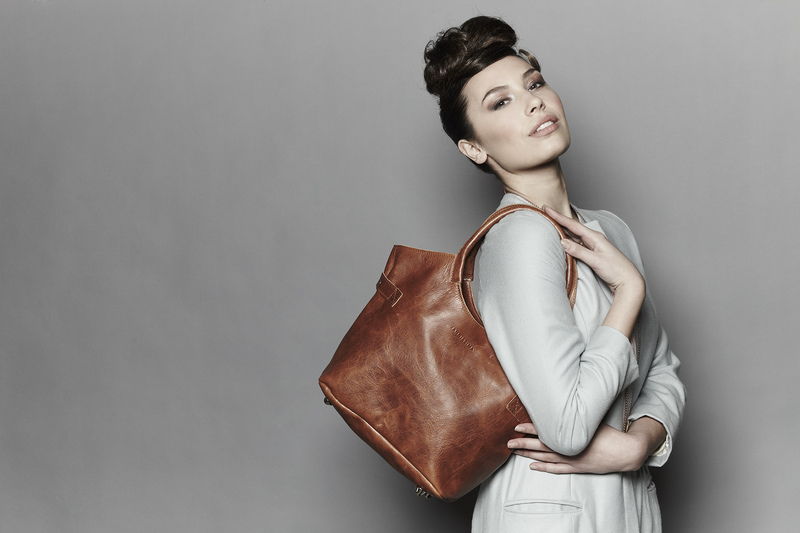 The vegetable tanned accessory collection by Jannissima is crafted for your journey. All Jannissima products are designed, developed and handmade in selected workshops by craftsmen in the Netherlands and Italy. 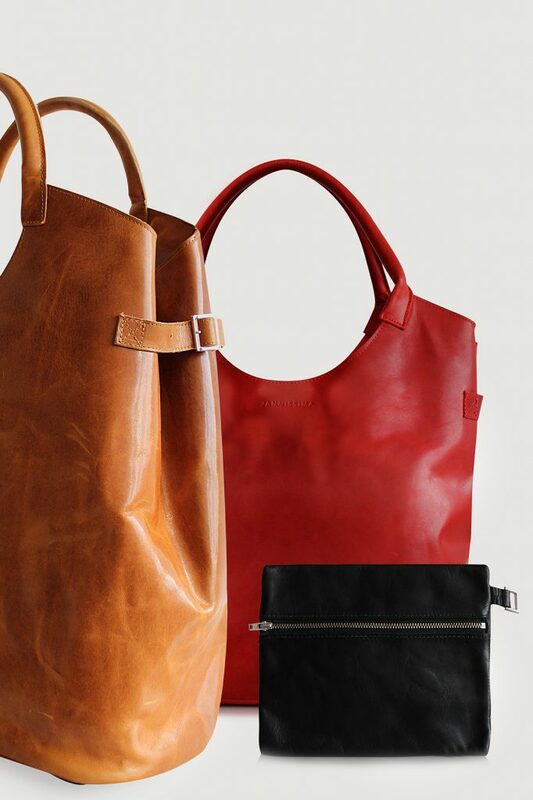 Jannissima created unique soft vegetable tanned leather bags combining style and functionality. 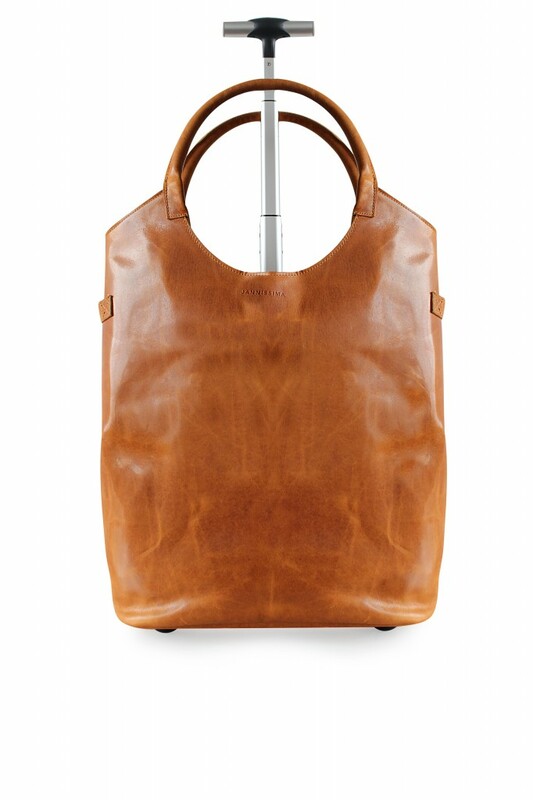 The vegetable leather is a full grain leather that guaranties quality and strength. Tanned without chrome, naturally dyed with pigments from fruit and vegetables, the most environmental friendly way of tanning. And finished with pull up wax for a great soft feeling and rich look that ages with time. 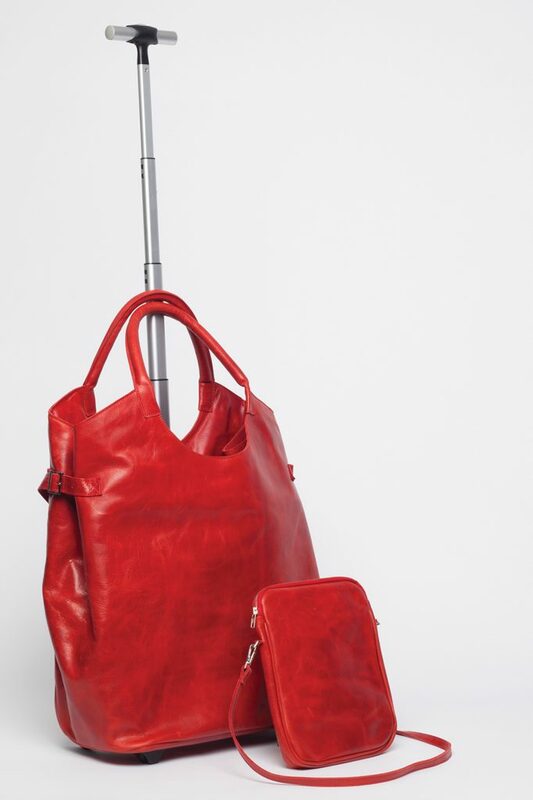 The flexible LARGE TROLLEY BAG is designed for the everyday nomad. The trolley can be used as an everyday shoulder or shopping bag. 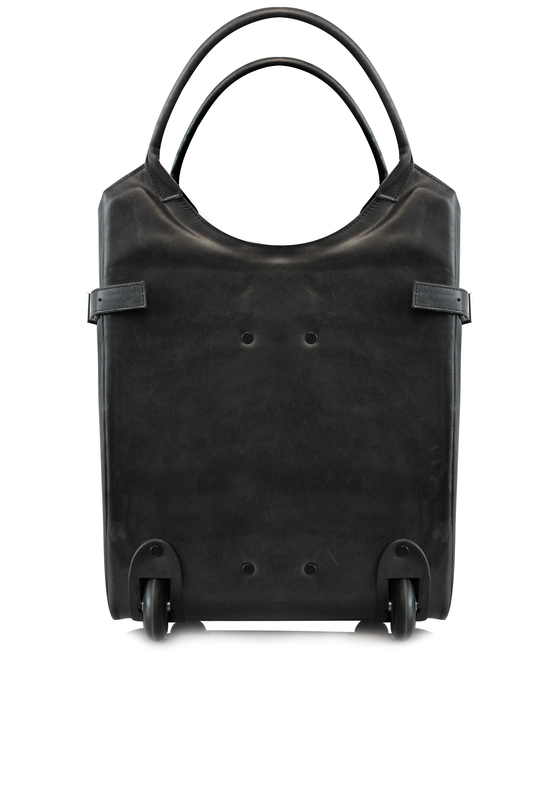 It is designed to fit as airplane hand luggage and you can easily change the size according to the required fitting. It is a versatile travel companion on wheels, ideal for business and leisure use. The MEDIUM TROLLEY BAG is a compact shoulder bag which you can also use as your daily office trolley. Inside the bag there is space for a laptop and A4/ letter folders. The lined division ensures that nothing can be damaged while traveling. Ideal for business trips or a shopping day. 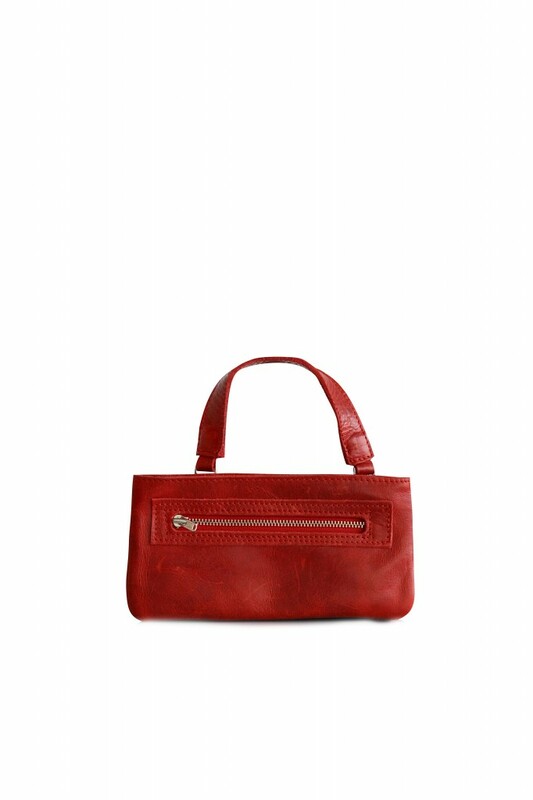 The LARGE HANDBAG can be carried in your hand as well as over the shoulder. The bag also has a special sleeve allowing you to put him on top of a trolley enabling you to have your hands free while traveling. The MEDIUM HANDBAG is designed for everyday use and fits an Ipad and a5 sized agenda and notebook. It can be used as your second hand luggage while traveling with your trolley bag. 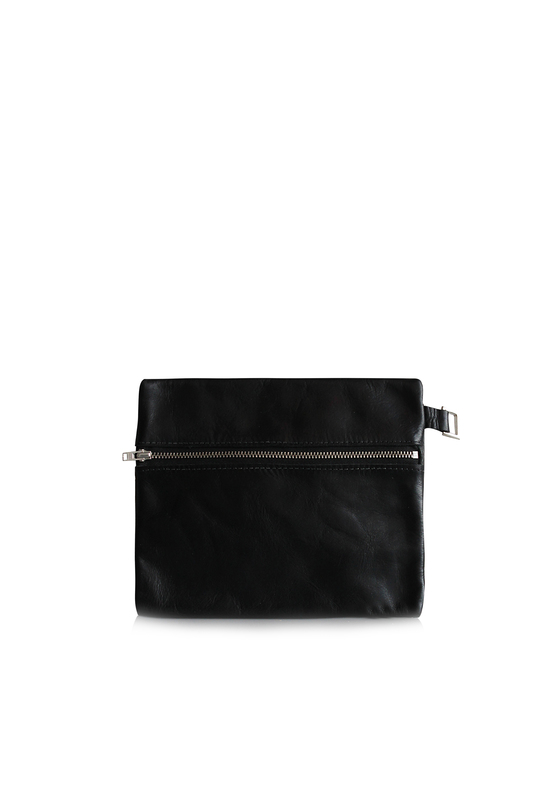 The DAYBAG can be used as an iPad bag and as your daily purse. We designed the MAKE-UP BAG for your beauty products. The EVENING PURSE, POUCH, CLUTCH, KEY RING as bag in bag for your trolley to organize your small items. They can all be used about town for your small personal belongings.